San Francisco is changing at warp speed. Famously home to artists and activists, and known as the birthplace of the Beats, the Black Panthers, and the LGBTQ movement, in recent decades the Bay Area has been reshaped by Silicon Valley, the engine of the new American economy. The richer the region gets, the more unequal and less diverse it becomes, and cracks in the city's facade--rapid gentrification, an epidemic of evictions, rising crime, atrophied public institutions--have started to show. Inspired by Studs Terkel's classic works of oral history, writer and filmmaker Cary McClelland spent several years interviewing people at the epicenter of the recent change, from venture capitalists and coders to politicians and protesters, from native sons and daughters to the city's newest arrivals. 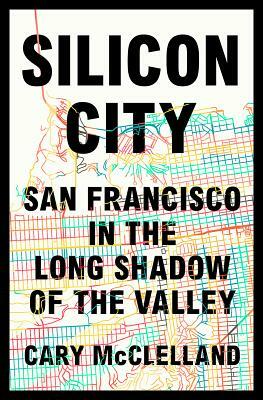 The crisp and vivid stories of Silicon City's diverse cast capture San Francisco as never before. The book opens with a longtime tour guide recounting the history of the original Gold Rush and observing how little the people of his city pay attention to its history; it ends on Fisherman's Wharf, with the proprietor of an arcade game museum reminding us that even today's technology will become relics of the past. In between we hear from people who have passed through Apple, Google, eBay, Intel, and the other big tech companies of our time. And we meet those who are experiencing the changes at the grassroots level: a homeless advocate in Haight-Ashbury, an Oakland rapper, a pawnbroker in the Mission, a man who helped dismantle and rebuild the Bay Bridge, and a woman who runs a tattoo parlor in the Castro. Silicon City masterfully weaves together a candid conversation across a divided community to create a dynamic portrait of a beloved city--and a cautionary tale for the entire country.